Michael Lutzeyer is passionate about his few thousand acres of fynbos, the Afrikaans word for ‘fine bush’, in the Western Cape, so much so that he has set up a foundation offering unskilled workers free education in all things green. The nursery and vegetable gardens from where their produce is sold are the tidiest I have ever seen. Skilled horticulturalists will make the conservation of these fragile ecosystems more likely. Michael’s nature reserve is home to Grootbos, a lodge that has incredible views over Walker Bay (two hours from Cape Town) and some of the best land-based whale-watching possibilities in the world. His enthusiasm is one of the main reasons why Grootbos is such a brilliant place for a holiday. Grootbos Private Nature Reserve. 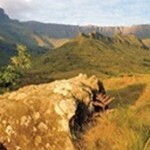 I have just been in South Africa where I go most years to find new places or to re-visit old favourites. It is a country that has lots of passionate people in a huge variety of places offering the most varied possibilities for a holiday anywhere on the continent. Another man with passion whom I met again after many years of supporting his idyllic hostellerie was Richard Peynton from Cleopatra Mountain Farmhouse in the Drakensberg mountains, inland from Durban. His passion for food has made this rural retreat a haven for gastronomes; it must rank as one of the best eateries in South Africa but charges a fraction of the price you would pay here. His wife’s penchant for collecting all sorts of knick-knacks makes for an eclectic decorative theme in each bedroom – a refreshing change from the often over-designed rooms one sometimes finds. This is certainly no health spa, but you can walk without coming across other people in stunningly expansive scenery in the Highmoor Nature Reserve or Giants Castle. 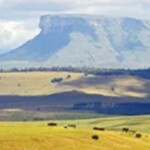 The province of Natal was the crucible of the whole rainbow nation. I think one of the most fascinating things to do here is to listen to the electrifying and tragic tales related by passionate guides about the Boers, Brits and Zulus and their struggles for dominancy in the late 19th century. If you look at the South African flag you will see it is in the shape of a Y, signifying the convergence of diverse roots into unity. Some of the main threads are black for Zulu, red for the British, green for the Boers (originally farmers) and saffron for Indians. You may have seen the film Zulu, starring Michael Caine, but there is something elementally moving about standing on the actual battlefield sites and listening to the story unfold. At Isandlwana you can easily picture the Zulus, whose average height due in part to their vegetarian diet was 6′ 2″, towering over the meat-fed British soldiers, whose average height was 5′ 4″. 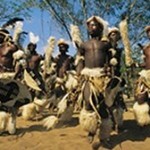 The former were trained by the great Zulu king Shaka who developed the assegai stabbing spear and deployed encircling tactics in the shape of the horns of the buffalo. 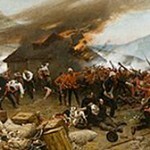 Isandlwana was the site of a great Zulu victory in 1879 but at a terrible cost. My private guide in the area is a lovely lady, so these bloody tales are not necessarily just a boy thing. Well, I have not mentioned big game safari; needless to say there are places aplenty with highly trained guides on this front, but I think South Africa warrants much more than the traditional safari, and the country’s hoteliers are seriously good at what they do.